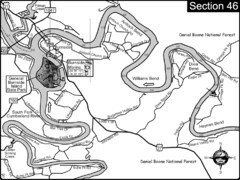 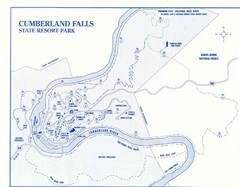 Map of McCreary County with road, waterways and towns identified. 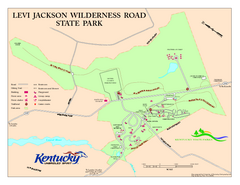 Map of trails and facilities of Levi Jackson Wilderness Road State Park. 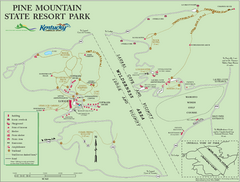 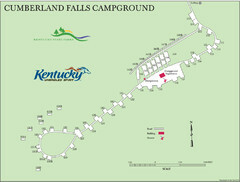 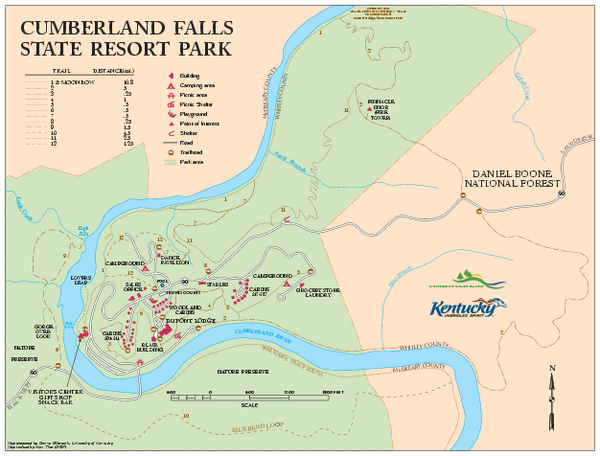 Map of trails and facilities in Pine Mountain State Resort Park .